Boy, how much I missed making my pizzas from scratch. It has been quite some time. In fact, I think this is the first time I am baking pizza ever since we moved to this house, which is coming close to 2 years. From what I could recall, pizza baking is very addictive. Once I start, there’s no stopping me 😉 More pizzas on the menu! My husband was smiling gleefully. I used the same recipe for the pizza dough as the last time. I let the dough to double in volume, punch it down and knead, then wrap in cling wrap and refrigerate for 4-5 hours before using. 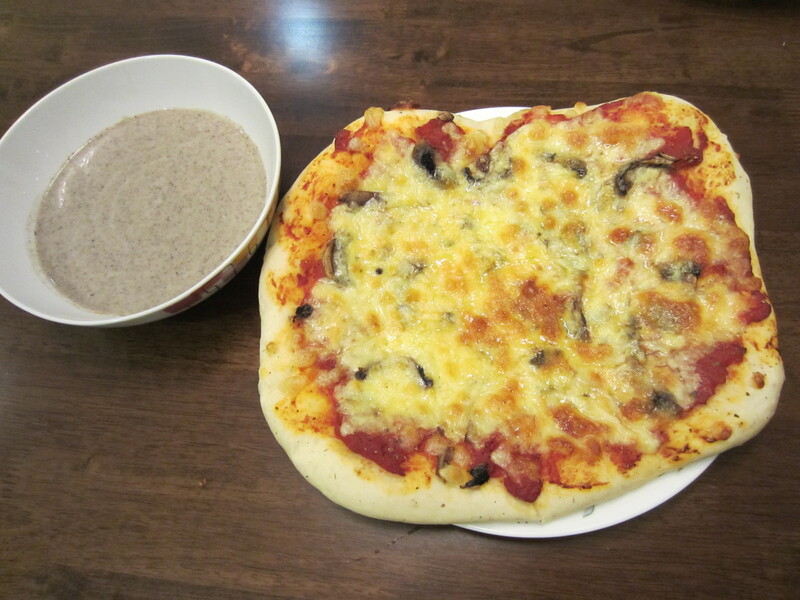 For the topping, I used white button mushroom, oregano and lots of mozzarella. This entry was posted in BAKING, PIZZA. Bookmark the permalink.